Across Ontario, food and farming co-operatives dedicated to a fair, healthy, and sustainable food system are coming together as the Local Food and Farm Co-ops. Through the sharing of information and exploration of innovations in food-based social enterprise, the co-ops are co-creating the network as a platform for internal strengthening and province-wide collaboration. The Ontario Natural Food Co-op (ONFC) is a not for profit distributor of natural and organic foods, celebrating its 36th anniversary in 2012. As the incubator and host of the Local Organic Food Co-operatives Network, ONFC provides resources, infrastructure, and the experience of an established co-op to the network, with the hope of helping local and organic food co-ops access distribution and marketing channels. To date, there are 70 start-up, emerging and established Ontario co-ops participating in the Local Food and Farm Co-ops that are growing, processing, distributing, retailing, cooking, and supporting local, organic, and fairly-traded food. In this, the UN-declared International Year of the Co-operative, food co-ops are building a new kind of food system in Ontario, and around the world. From Fort Albany to Fort Erie, and from Windsor to Hawkesbury, new local food and farm co-ops are sprouting up, with an interest in providing good food for local community and transforming the food system for greater ecological and social well being. In the past year, twenty-two new local organic food co-operatives have been initiated or incorporated. People are organizing local food co-operatives as an alternative to the current highly centralized, energy dependent, industrial food system. Local food co-ops are quickly becoming a popular means of engaging in an otherwise alienating food system, offering individuals a chance to practice good health, community-sufficiency, food sovereignty, and participatory democracy through their active membership. Ontario Co-op Association convenes interested local and organic food co-ops in Toronto. Second network meeting in Toronto, creation of shared vision, mission, purpose and values. Third annual Local Organic Food Co-ops conference and Sustainable Business Training for Organic Farmers with Richard Wiswall held at St. Ignatius Centre, Guelph. 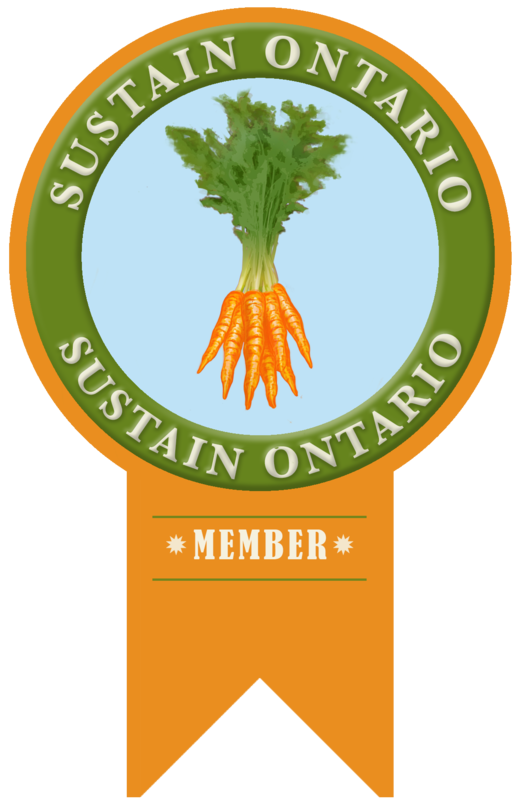 The Local Food and Farm Co-ops is governed by a Steering Committee, composed of members of the affiliated co-ops, one co-op developer, the network Animator, and one representative each from the Ontario Co-operative Association and the Ontario Natural Food Co-op. Four Working Groups comprised of affiliated co-ops’ members drive the inner workings of theLocal Food and Farm Co-ops. The Working Groups are focused specifically on Education and Advocacy for food co-ops, Succession Planning for new co-ops and businesses transitioning to co-op status, Governance of the Network, and Supply Chain Innovation. An Academic Constellation of graduate students and professors across Ontario focused on various aspects of the food system and co-operative governance aims to support the Network’s needs and activities through community-based research. If you are interested in learning more or taking part in the Local Organic Food Co-ops, please contact us.